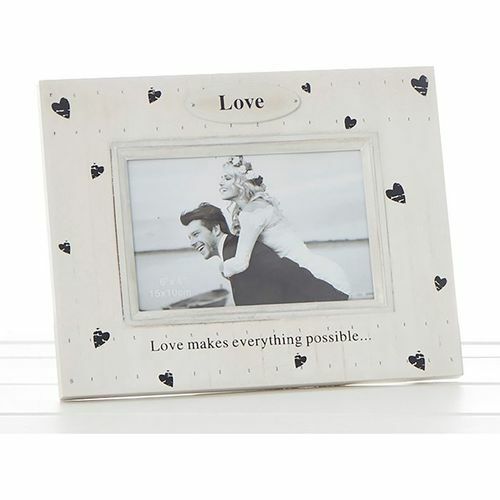 This delightful decorative shabby chic rustic wooden frame would look absolutely fabulous in any room. It would make an extremely sweet and thoughtful gift. It is adorned with a fabulous little plaque and heart prints.